Add olive oil. Add onion. Cook 2-3 minutes or until soft. Add shrimp. Cook 3-7 minutes or until shrimp are pink and no longer transparent in color. Set heat to low. Add lime juice, chili powder, and Cajun seasoning. Cook for 1-2 minutes. 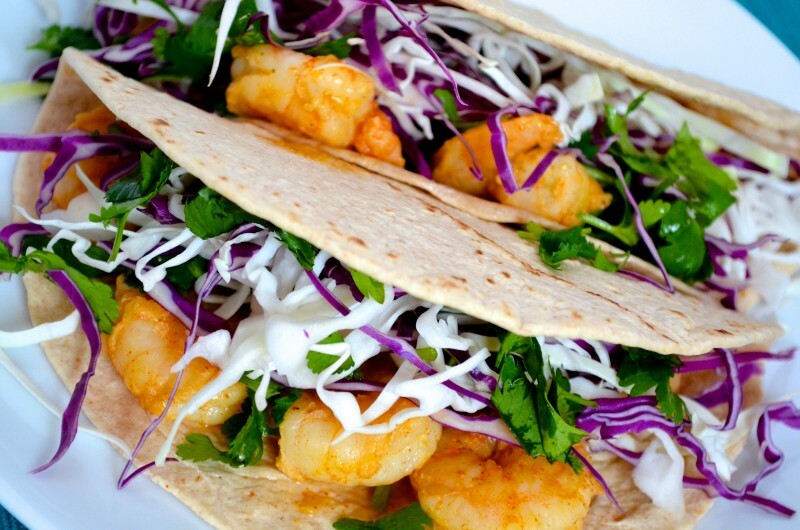 Dress Mission Carb Balance wrap with shrimp, cabbage, and cilantro. Add sour cream.